The Sloan Top is the perfect addition to your summer wardrobe. 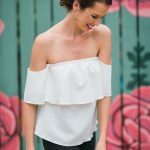 This off the shoulder style is one of summers hottest trends. 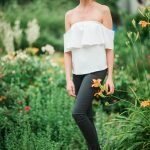 The sloan top is loose fitting and easy to wear. Don’t forget this top when packing for your summer vacations!